Supported by UNDER CODE PRODUCTION, the band’s first live was held on November 18th at Tokyo Kinema Club. In December, they played at several live houses. While continuously performing, spiv states released their first three consecutive singles from December 2009 through February 2010. The band’s first mini-album, NOVELTY HUNTER, was released soon after on May 19th, followed by their first maxi-single FLAVOR, which came out in August. In the same month they held their first one-man, appropriately titled savor the flavor, at Shimokitazawa ERA. Unfortunately, in September, IORI had to leave the band due to health problems involving a hernia in his lower back. 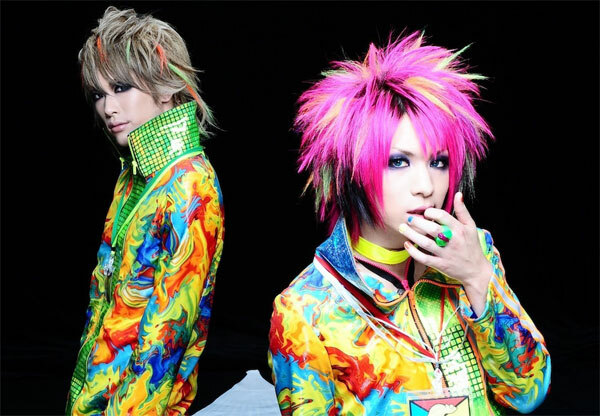 JUN decided to continue with the band’s activities and the maxi-single GLIDER was released in November. The band had previously been performing live with support members, but by the end of the year three new members had joined the line-up: RYO, ZECHS and SEIYA. The band’s ‘rebirth’ was celebrated with the launch of their new official homepage on January 1, 2011. Several months later, it was announced that the three new members would be leaving the band after the release of their second mini-album Futari no hoshi in July, and spiv states returned to being a “guest-player-participation” band centered around JUN. For the mini-album’s recording, two guest musicians also participated: BUG’s bassist TAKASHI and SADS/KUROYUME’s support drummer GO.